“The progress of SKF’s distributor programme, since implementation four years ago, has been and will continue to be a great success,” reports SKF South Africa Managing Director, Barry Dailly. With more than 100 years’ experience in bearing and rotating technology, SKF’s global vision is to ‘Equip the world with SKF knowledge’ through its six core technologies – bearings and units, seals, lubrication systems, power transmission, mechatronics, and mechanical and reliability engineering services. “Our authorised distributors also make it is possible for us to further extend our local responsibilities to cross-border markets in Namibia, Botswana, Zimbabwe, Mozambique and Malawi. 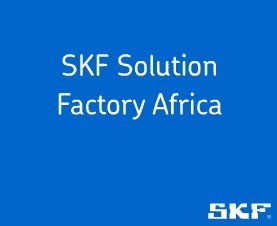 SKF South Africa reports into the Africa Region so, through representation in Zambia, East Africa and North Africa, we have presence across the entire African continent,” continues Dailly, adding that the widespread independent authorised distribution is nothing new for SKF. In South Africa, current distributors are responsible for approximately half the industrial aftermarket representation. SKF benefits from the distributor network as it extends the SKF reach by building direct relationships with customers at the operational levels where it matters, specifically when providing the flexibility and after-hours support that all customers deserve. Dailly points out that today’s customers are very discerning and demand top quality at a fair price. “Through the SKF distributor partnership, we differentiate ourselves from traditional commodity suppliers whose approach is purely based on price, and in so doing, we satisfy customer expectations,” comments Dailly. Discussing SKF’s commitment and support of the distributor network, Dailly says the SKF strategy is very clear. “We intend to address aftermarket requirements through our distributor network. We see an obligation to provide the best possible support to our network through providing a best-in-class supply chain and supporting their businesses in all key areas – pre- and post-sales. Our support also extends to the appointment of territory managers, in co-operation with our distributors, in the regions. These managers are expected to actively support our distributors by identifying, developing and delivering on opportunities in their respective areas.” Through SKF territory managers, distributors are able to gain direct access to technical and sales support that will facilitate delivery of solutions to customers quickly and seamlessly. Dailly points out that all opportunities identified will be delivered through distribution. “We do not compete with our distributors, but are able to provide another pair of eyes and ears on the ground and another pair of hands for delivering solutions,” adds Dailly.